The 2018 season has seen the Dragons rise to become the benchmark of the competition. 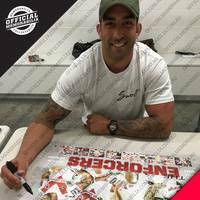 Showing off a excitable attacking game without forgoing the hard-nose resilience that is synonymous with the famous Red V, the heartbeat of this Dragons outfit has undoubtedly come from their superstar forward pack. 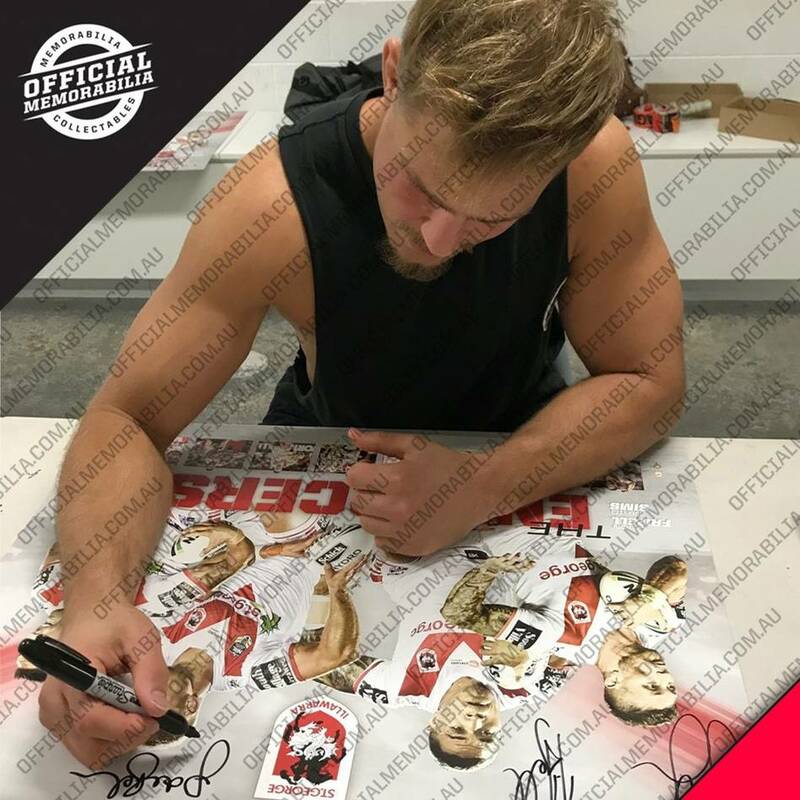 Their ability to tirelessly work their opposition out of the game and regularly create high impact plays leaves them with a combination that is second to none, and sees the Dragons primed to deliver premiership glory. 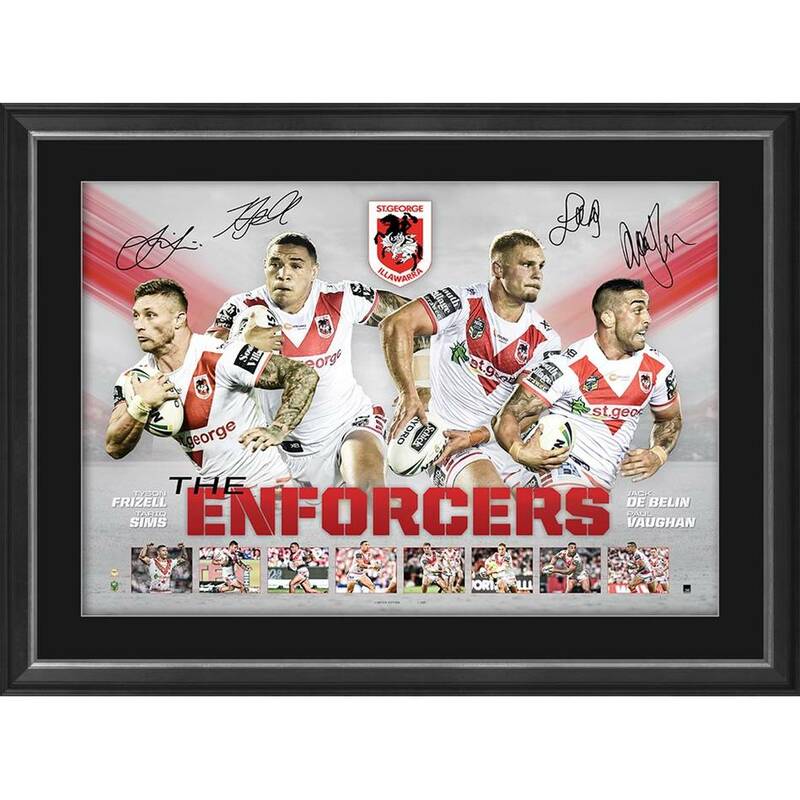 Official Memorabilia, in conjunction with the St George Illawarra Dragons and NRL, are proud to release ‘Enforcers’. 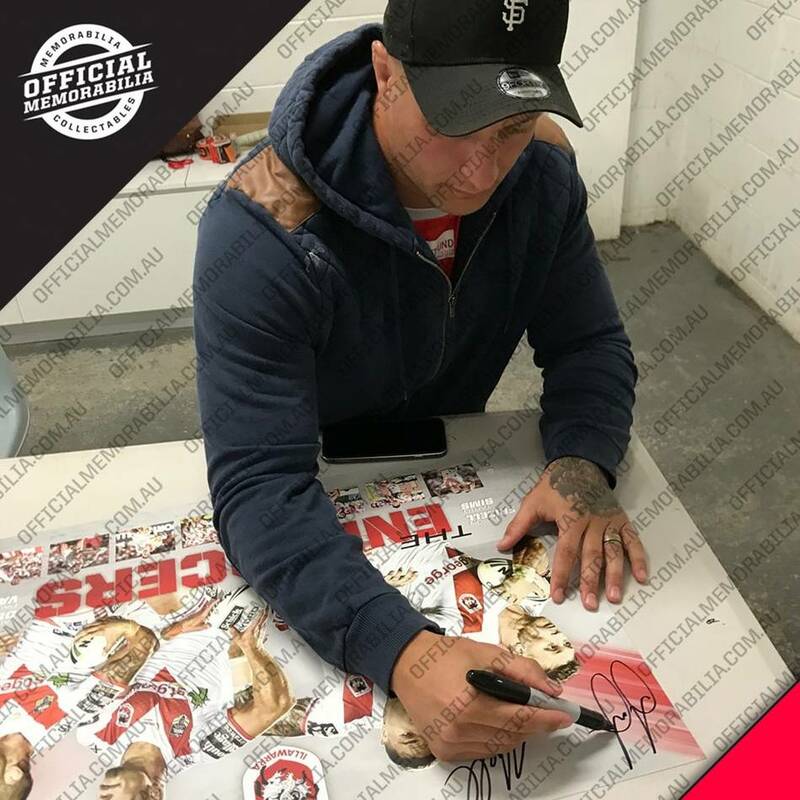 A beautifully presented piece that pays tribute to Dragons’ quartet of superstars, ‘Enforcers’ comes personally signed by Jack de Belin, Tariq Sims, Tyson Frizell and Paul Vaughan and is limited to just 100 editions worldwide. Officially licensed by the NRL and RLPA, ‘Enforcers’ represents the first piece of officially licensed, independently authenticated Dragons memorabilia in year. Secure yours now to avoid disappointment.